Since forming in 2016, Vast Hill have spent the following years captivating Sydney audiences and transporting them back to the 80s with their synth drenched new-wave sounds. They dropped their debut EP The Win back in October 2017, and have finally re-emerged with ‘Heartbreaker’, the first taste of their debut album More Than You Imagined. Picking up right where The Win left off, ‘Heartbreaker’ is a shimmering slice of disco-tinged pop that bursts with personality and flair. Enthralling from the get go, the track opens up with a programmed four-to-the-floor stomp and fluttering electronic percussion, before it expands open with sparkling synthesizers and some tasteful funk bass as vocalist Elle Kress’ voice floats dreamily on top. Moments later, the woozy mood shifts and we’re struck with an intoxicating groove that draws us towards the dance floor. Backed by bright and powerful keys and a driving bass, Vast Hill hit us with their strongest hooks yet, before they ride the track out and we’re left reaching for the replay button. To celebrate the release of the new track and the announcement of the forthcoming album, we got in touch with Vast Hill to delve a bit deeper into the influences behind their sound. Hearing this album for the first time was the first of two switches that went on in our minds and convinced us to compose using synths and digitally. We used to always write our tunes for our old band with acoustic instruments then take it to the band to figure it out, so the idea of going full or semi electric was super daunting. We were just waiting for something to convince us or show us otherwise… After watching the movie Drive, we started looking more and more into Electric Youth and have listened to the album about a thousand times since. It really grows on you and after the first few listens we were 50% of the way to starting Vast Hill. I know we talk about them a lot - but we can’t stress enough that we probably wouldn’t be a unit without the help from Allyson and Chow from FROYO (the band... don’t get it confused with those delicious swirly things you pour yourself in a cup). We were still in our old band (fun fact: our old band The Electric Vogues had Allyson on drums), and we heard about her other unit with Chow and listened to it once or twice in a rehearsal space at the uni we were at. As time went on, I would ask Michael Chow more and more questions about how he pulls off running a band without so many live instruments, it was just baffling to me. Anyhow, we eventually picked their brains for about two years to work up the courage to start our own similar styled unit. I’ve always had a fascination with guitarists that use Fenders (Strats mainly). Jimi Hendrix is just a god. Everytime I see a band in any setting playing a Fender Stratocaster, it always inspires me to try write more songs featuring guitar. I mean I have a lot of axes at home, but I always go to my Fender Strat first - it’s the only one that can do 90% of what I want. The guitar got a bit more of a workout in our upcoming album, but I think we’re really trying to work it more into the next one. 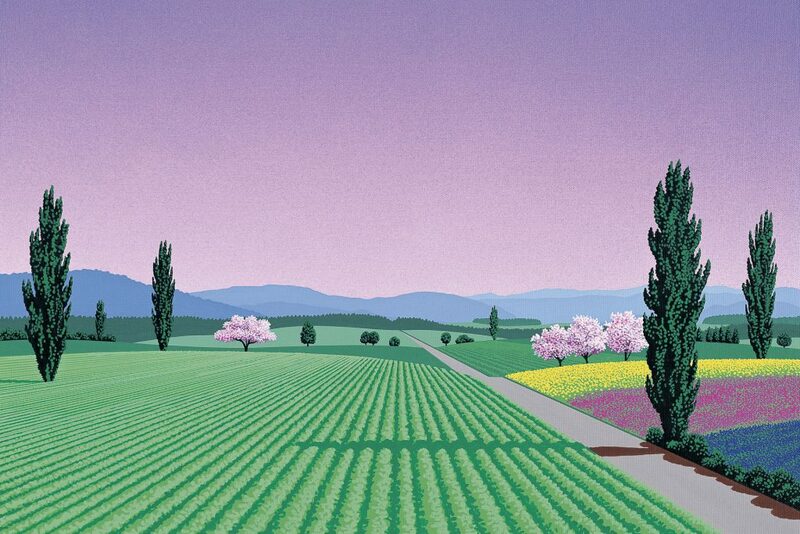 Every time we think about getting artwork for Vast Hill done, our first thought is always to go with art in Hiroshi Nagai’s style. Its has so much depth without overclustering the frame. It's the perfect fusion of Japanese minimalism, with some vibrant colours of the east coast USA. 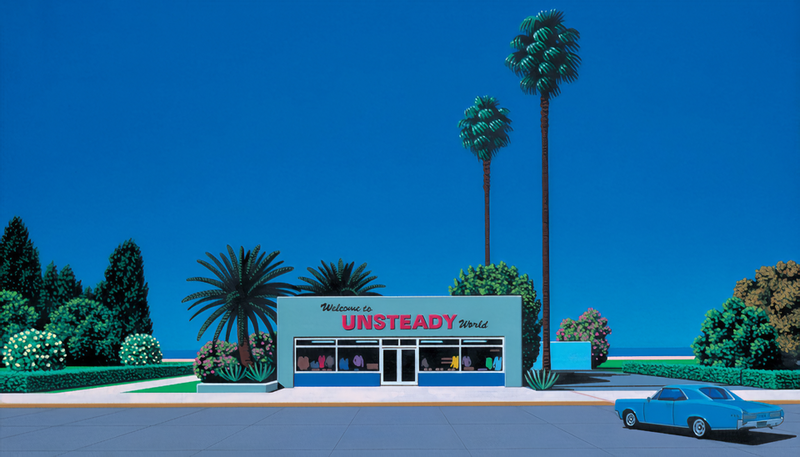 Whenever we look at those pictures we always think “what is the story behind this image?” because they always look and feel so lonely and calm at the same time. The style was a huge inspiration in crafting the story for our album. 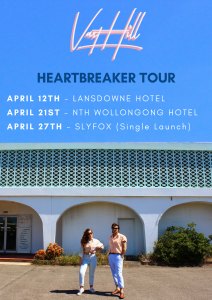 Check out the clip for 'Heartbreaker' above, and NSW crew can catch Vast Hill next month as they launch the single in Sydney and Wollongong.